The barrier reef off the Florida Keys is noted for its many exotic life forms, but it also acted as the main culprit for sunken ships in the area. Interestingly enough, these small disasters made Key West the richest US city per-capita in the mid 1800s, with locals rowing out to salvage the goods of recently sunken vessels. According to the Key West Shipwreck Treasure Museum, men and women would keep watch for shipwrecks day and night from observation towers on the island. The first one to make it to the scene of the sinking would become the “wrecking master,” organizing the work and taking home the largest portion of the winnings. The history of pirate-minded locals benefiting from the wreckage of others is part of what makes Key West a product of the elements and its surrounding landscape. If you’re interested to learn more about the history and see collected artifacts from shipwrecks, there’s two great museums to visit during your stay in Key West. First and foremost, the Key West Shipwreck Museum is an obvious choice. While this museum is more heavy on the entertainment side, with reenactments, audio-visual displays, and videos, it also houses a great amount of shipwreck artifacts and a 65-foot lookout tower. It’s especially fun for kids. The museum’s notable artifacts are from the Isaac Allerton wreck, which sank in 1856 but was discovered in 1985, turning into the Federal Wrecking Court’s largest monetary amount collected for any shipwreck. Buy tickets online direct from the Key West Shipwreck Museum for savings. Another favorite among visitors is the Mel Fisher Maritime Heritage Museum, which has a broad collection of artifacts and treasures from 17th-century shipwrecks, as well as exhibitions around Key West History. 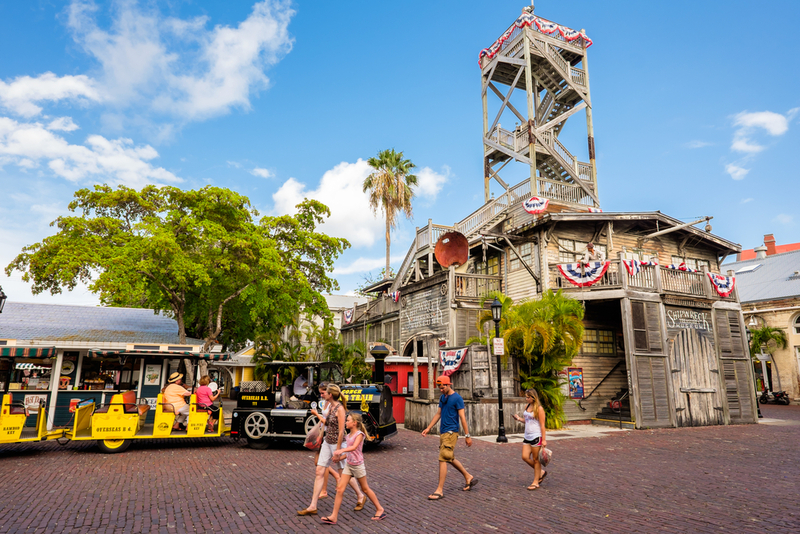 For a well-rounded glimpse into the history of Key West, treasure hunts, finds, and artifact collections, a visit to Mel Fisher will make you see Key West in a new light. You’ll also learn about the legend that is Mel Fisher, a treasure hunter who would stop at nothing to find sunken riches. The Mel Fisher Museum is located in downtown Key West, right near the aquarium. Read more about the museum here.